This customer was affected by the wildfires last year. They were the only home left standing in the neighborhood! You may know SERVPRO as a fire and water damage cleanup company, but did you know that we also perform bio-hazard and decontamination services? In the recent Camp Fire in Chico, we assisted the Office of Emergency Services with cleanup of their evacuation facilities. For several months, we have been on site providing emergency decontamination services and regular janitorial services for OES, the Red Cross, and the National Guard at their staging area. No call is to big or small for us. If we can’t help you, we know who can. Specialized industries like ours require advanced and ongoing training. Our technicians are trained in special protocols so that we are never caught unawares. Every situation is different, but we know how to handle them all. Call us today with any questions. We are available 24 hours a day, 7 days a week, 52 weeks a year! 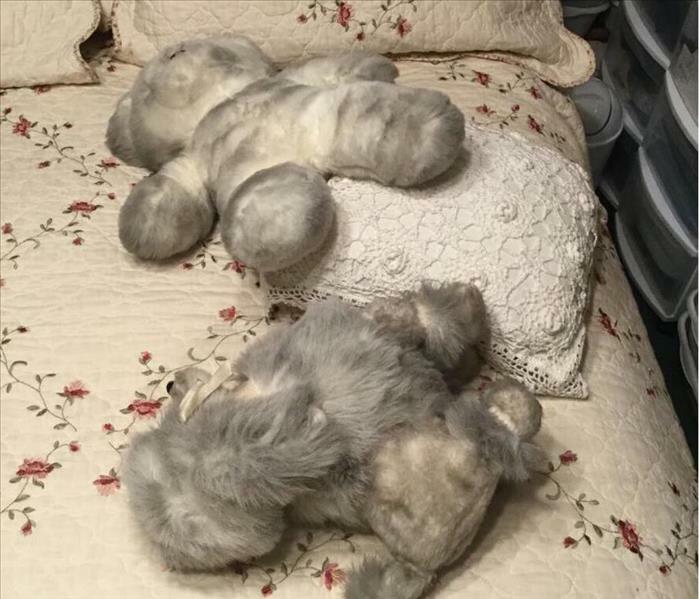 These teddy bears belonged to the deceased child of our customer. Talk about sentimental! We made sure they were treated with the utmost care. A house fire is devastating on its own, but when it rains, it pours, right?! Part of what makes SERVPRO of El Dorado Hills/Placerville so great is our attention to detail and our personal touch. Your home is full of sentimental items; your furniture, photo albums, old baby clothes from when your children were small, your college diploma! Your first concern is your family and pets, but then what do you do about your personal contents? You call SERVPRO of El Dorado Hills/Placerville, that’s what! Our caring and compassionate staff will assist you with identifying items that can and can’t be cleaned. Just because it can’t be completely cleaned, doesn’t mean that we have to throw it away. We will always attempt to clean sentimental items, and we will return it to you in the best condition possible. It is YOUR decision what you want to keep. We are here to help you navigate the insurance process and make your life as easy as possible. This customer noticed there was a strange wet odor in the building. You can't see much, but everything is wet! Have you ever walked in to your office and thought, “What’s that weird smell?” First, you check the trash and the fridge, but nothing there! So you wander around, sniffing, until you find the source. What if you see mold on the wall; who do you call? Don’t call Ghostbusters, call SERVPRO of El Dorado Hills/Placerville! SERVPRO of El Dorado Hills/Placerville services all parts of Sacramento, Rancho Cordova, Rancho Murieta, El Dorado Hills, Placerville, Cameron Park, Shingle Springs, Pollock Pines, Pilot Hill, and beyond. Give us a call at 916-933-3890 to schedule your free inspection. We will assess your damage and provide you with an estimate for any work that needs to be done. Mold allergies can look like a regular cold or seasonal allergies, so be sure to speak with your family doctor if you are having any issues! 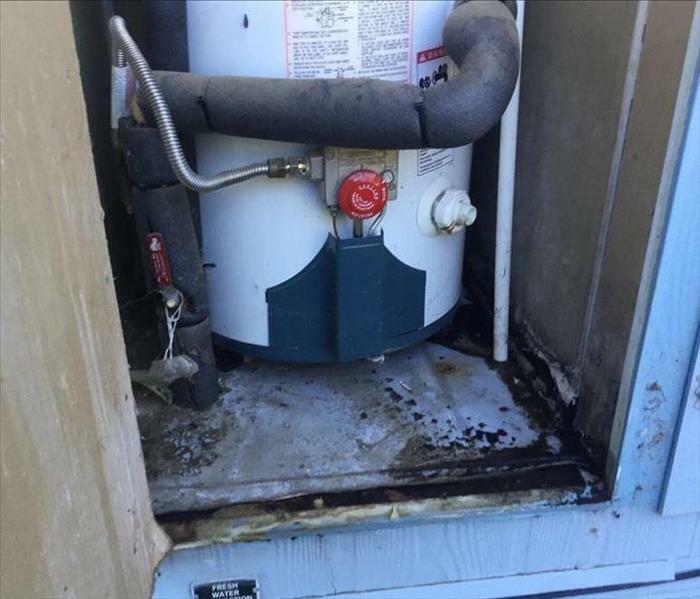 This customer in El Dorado Hills had a hot water heater leak several months ago and thought everything had dried... turns out that it didn't! Mold is a scary word for a lot of people, but it doesn’t have to be! If you find mold in your home or business, give us a call right away. We will conduct an inspection and give you an idea of what needs to happen next. Mold can grow within 72 hours (that’s only 3 days!) after water damage, so don’t let leaks sit! We at SERVPRO of El Dorado Hills/Placerville work with insurance companies daily, so we can help you navigate the claims process. If you are unsure if you want to file a claim, we will work with you and your insurance agent to determine the best course of action for you to take. If you have any questions regarding damage or possible damage to your home or business, please give us a call any time. We are the experts and we are Here to Help! This commercial space in Cameron Park was a vacant unit that had some faulty weatherproofing. The recent heavy rains caused a massive problem! So you run a business out of a commercial space; so do we! Most business owners rent from a commercial property manager, but others own their own space. Commercial buildings are unique in their construction and therefore present their own unique challenges to remediate. The most common sites of water intrusion are roofs (usually flat roofs) and exterior walls. 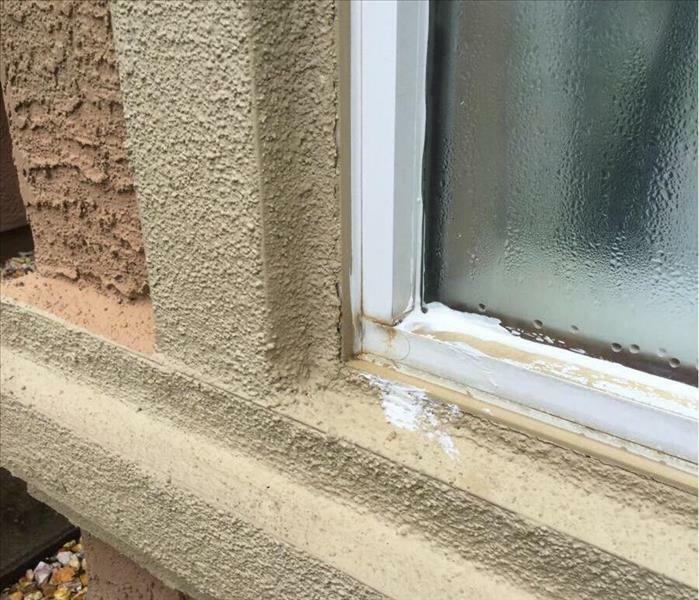 Because weatherproofing can fail over time, you may not notice a leak until there is mold. That’s where we can help. SERVPRO of El Dorado Hills/Placerville services all of El Dorado County and parts of Sacramento County. We will come out to conduct a free estimate and inspection of your water or mold damage. The impact to your business and employees is our first concern. Call us today at 916-933-3890 with any issues you may have. This building in Sacramento had a small fire in their break room. 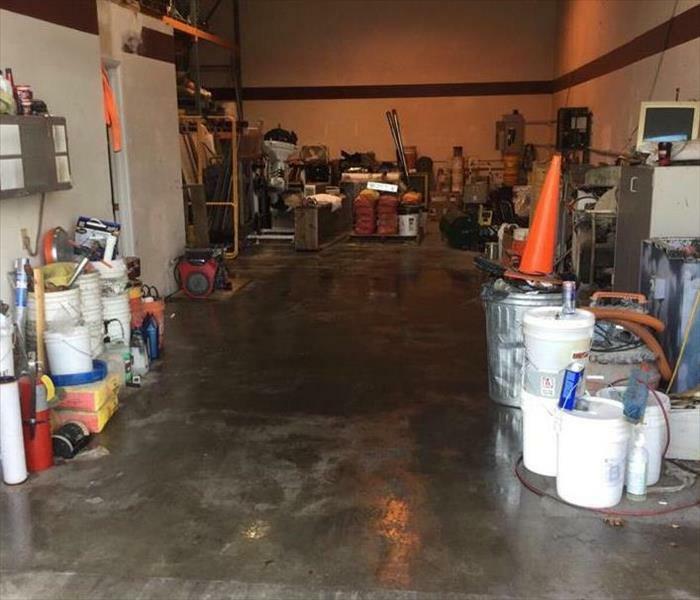 The fire sprinklers went off and flooded their whole office and 4000 sqft warehouse! Running a business is hard! All of your time goes in to managing your whirlwind; you don’t have time to worry about a disaster! Commercial buildings are susceptible to all kinds of damage, including fires. Usually a small fire or smoke loss in a commercial structure is exacerbated by the fire suppression system. The fire sprinkler system works great at putting out fires, but it also floods the building! Handling fire and water damage combined is our specialty. SERVPRO of El Dorado Hills/Placerville will answer your call 24/7 and send an experienced technician out to evaluate the damage. Being located in El Dorado Hills, we are centrally located to respond to your needs in an efficient manner. Our average after-hours response time is less than one hour! At SERVPRO of El Dorado Hills/Placerville, we know what disaster means and we know how to handle it. From Sacramento and Rancho Cordova to El Dorado Hills, Cameron Park, and Placerville, we can handle it all. Just give us a call at 916-933-3890 any time of day or night. This customer had a fire that burned plastic. Plastics make oily soot and will streak and stain if not cleaned appropriately. California wildfires make an appearance every year. Big or small, we all feel the impact. Smoke and soot are particulate matter that is on the surface of your items and your home. The best way to get rid of smoke odor is to physically remove the particulate matter from the surface of the material, whether with dry wiping or wet washing. Never re-paint without cleaning first! Different types of soot require different cleaning methods, so make sure you give us a call before doing any cleaning yourself. After physical removal of the particulate matter, we will nano-deodorize the home using hydroxyl or ozone treatment. SERVPRO of El Dorado Hills/Placerville has the experience to make it "Like it never even happened." 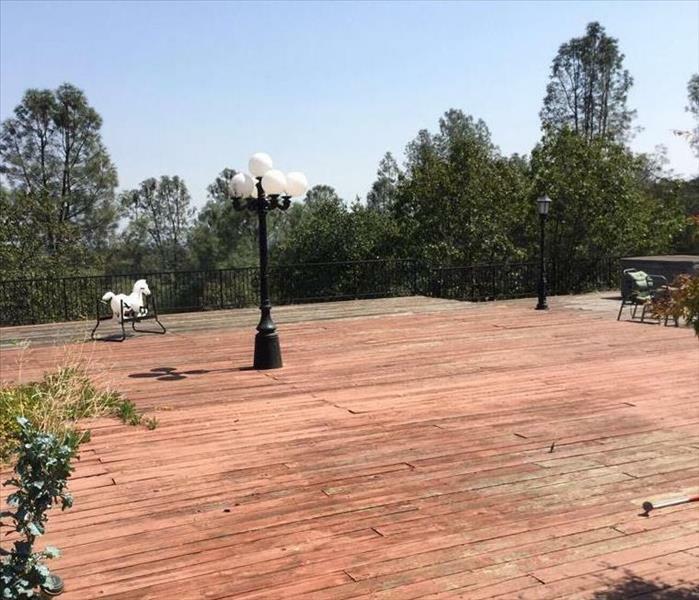 From Sacramento and Rancho Cordova to El Dorado Hills and Placerville, we are your trusted resource for any house fire, wildfire, or business fire! These customers just bought their home. They did not realize that the window seals were faulty! The winter rains have caused a big problem. To SERVPRO of El Dorado Hills/Placerville, “storm damage” can mean many things. A storm can be a wildfire, hail, rain, wind, etc. Every storm is different in terms of damage and insurance coverage. If you have damage resulting from a storm event, whatever kind it may be, call SERVPRO of El Dorado Hills/Placerville before you call your insurance! We will conduct a free inspection and advise you on the cost of remediation to see if it even meets your deductible. We will help you work with your local insurance agent to see if coverage applies to your loss and help you navigate the claims process. SERVPRO services Sacramento and El Dorado Counties. We are your most trusted resource for all damage-related questions! If you call our office, you will be connected with a compassionate, experienced person who will be able to assess your needs. You can call us any time of day or night and you will always be connected with a real person in our office. Let us know how we can help you! Whether it is suicide, accidental death, homicide, or natural causes, SERVPRO of El Dorado Hills/Placerville knows how to handle your every death and crime scene cleanup situation. We are licensed through the State of California to handle losses like these. We understand the ins and outs of the delicate nature of death and are honored to be chosen to help you in your situation. 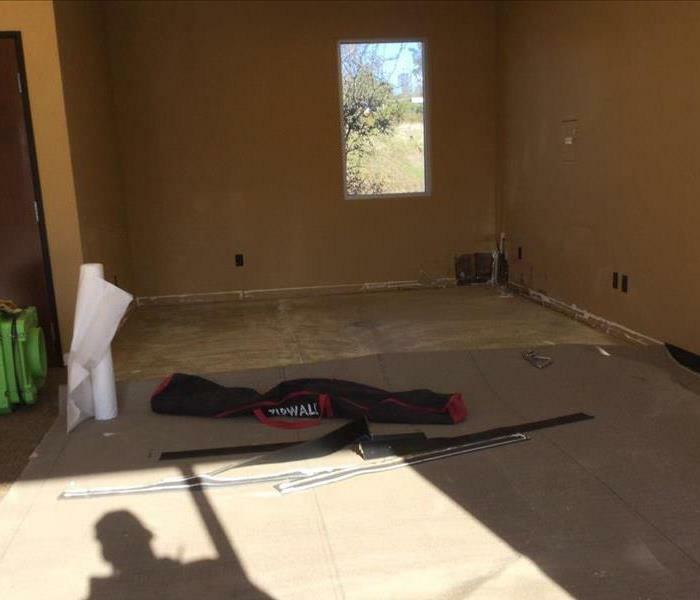 There are many different companies out there that perform death and crime scene cleanup, but there are none better than SERVPRO of El Dorado Hills/Placerville. We bring years of military training, bio-hazard training, blood-borne pathogen protocol training, and compassion to the table. Experiencing the death of a loved one or a friend can be traumatic, and we want you to be able to not have to worry about the cleanup. Most people try to clean it up themselves, but it is better to leave it to the professionals. Just call SERVPRO of El Dorado Hills/Placerville and we will make it "Like it never even happened." This customer had a house fire that burnt plastic. You can see the level of damage to the cabinet above. A fire can be devastating to anyone that experiences it. At SERVPRO of El Dorado Hills/Placerville we understand what devastation means and we know how to help. We have caring, dedicated, experienced technicians that are ready to assist in any situation. There are different kinds of fires that result in different kinds of soot. Different types of soot need to be cleaned in different ways. Protein fire residue is the hardest to detect, because of its light yellow or white color, but is characterized by the acrid smell of burnt food or burnt hair. Protein fire residues are some of the hardest to clean after because the smell is incredibly pervasive and strong. Combustion of plastics result in soot webs and oily soot. Plastic fire residues are difficult to clean because the soot smears if not cleaned with the correct products. There is a lot of misinformation on the internet, so make sure you call us first! 3/23/2019 - What's that smell?